"There is a level of predictability to evolution." When picturing our potential extraterrestrial neighbors, it’s human nature to imagine that they look something like us: bipedal, with dextrous hands and a face plan much like ours (eyes above nose above mouth) — even if those eyes are a bit large and those hands a bit creepy. A group of University of Oxford biologists has taken a fresh look at our theoretical alien predictions, showing that because aliens are likely shaped by the same forces as humans (namely, natural selection) they might indeed be more familiar than previously thought. “We can say that there is a level of predictability to evolution that would cause them to look like us,” said co-author Sam Levin in a press release. Most estimations of extraterrestrial life have been based on what this research (appropriately titled “Darwin’s Aliens”) calls a “mechanistic” approach: using observations of how life developed on Earth to statistically estimate what is likely on other planets. For example, eyes have evolved on Earth at least 40 times, across thousands of phyla, so we assume they would form on other planets. Our mechanistic approach also uses knowledge of the chemistry and physics of the universe to inform our assumptions about extraterrestrial life, such as our assumption that life forms will be carbon-based because of its abundance and versatility. No matter what sort of environment organisms have developed in, this struggle — to produce offspring and pass on one’s genes — has defined the rise of life on Earth and pushed it to the variation and complexity we know today. Evolutionary theory says that the only way to get creatures with the ability to reproduce is through natural selection. Therefore, the authors conclude, alien life must have been shaped by natural selection just as organisms on our planet were. Once this condition has been accepted, the features of possible alien life begin to come into sharper focus. If an alien has undergone natural selection and has multiple functional parts (such as sensory systems, limbs, internal organs) Levin and his coauthors posit that they must have undergone major evolutionary transitions, in which a group of individuals that could replicate independently (such as cells) cooperate to create a complex life form. 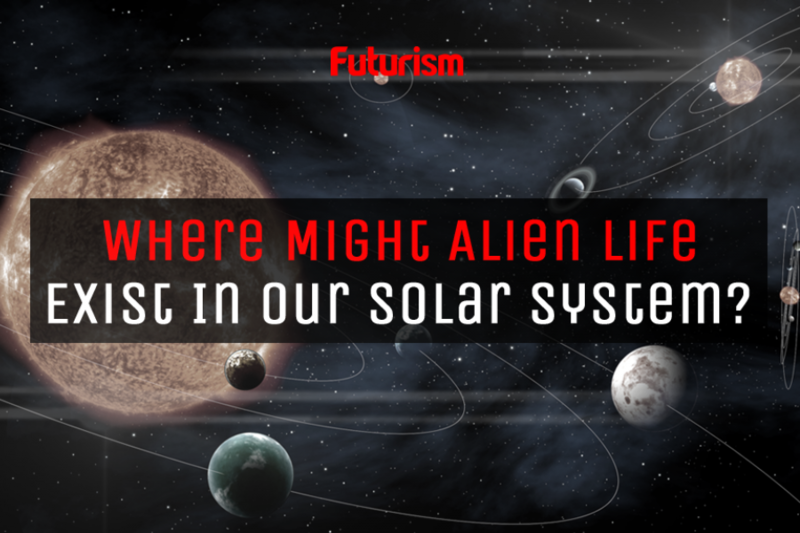 This means complex aliens will likely be entities made up of many smaller entities, with mechanisms that maintain cooperation to keep the organism functioning. This would be similar to what we see among the billions of cells in our own bodies. On planets that have experienced more major transitions than our own, this could even mean nested societies, where social colonies collaborate by specializing in different tasks on a planet-wide scale.